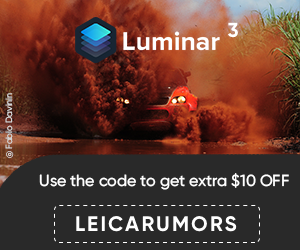 New users can purchase both Luminar 2018 and Aurora HDR 2019 for $119. 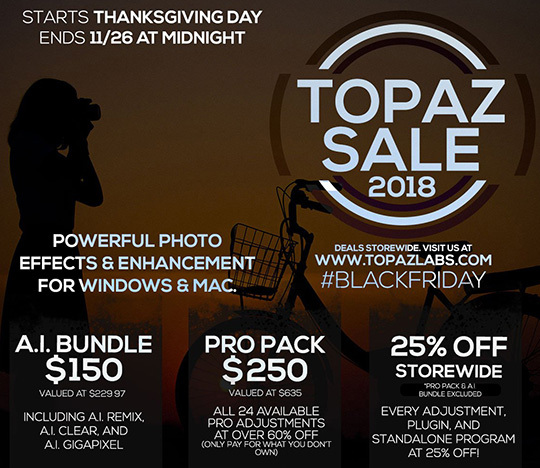 It seems that the Topaz Labs Black Friday promotions are also still live. 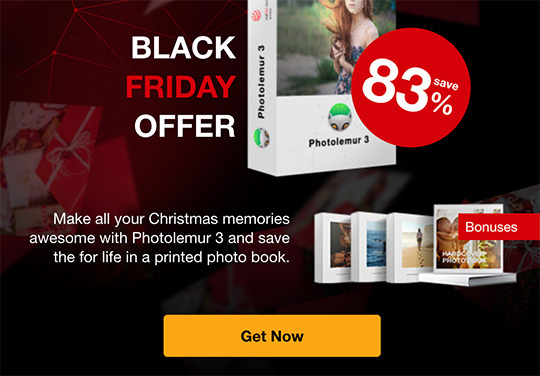 This entry was posted in Deals and tagged Black Friday. Bookmark the permalink. Trackbacks are closed, but you can post a comment.